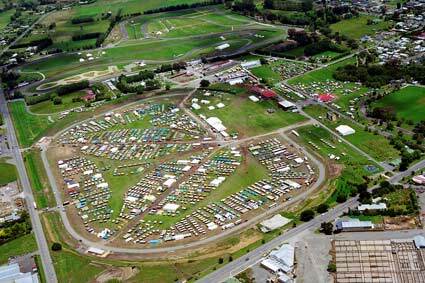 The 3.033-kilometre Manfeild racing car circuit, which was built by the Manawatū Car Club and opened in 1973, can be seen at the top of this photograph. Since 1990 the club has met full international standards. The grounds also host agricultural and pastoral shows.